Looking at the recent trends in home stereo, a most distinctive phenomenon is the return of analogue audio to the audiophile and high-end scenes. We, at Pointe, noticed that the Analogia Mk4 and Mk5 units were sold out quicker than usual. Even older used Pointe phono premaps were quickly disapperaing from the second-hand market. 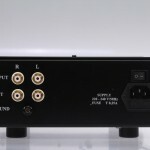 As dealers started selling turntables in high quantities again, there was need for an affordable phono preamp that can be produced in relatively large numbers. 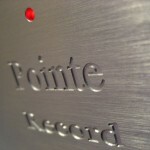 This is how the Pointe Record entered the scene. 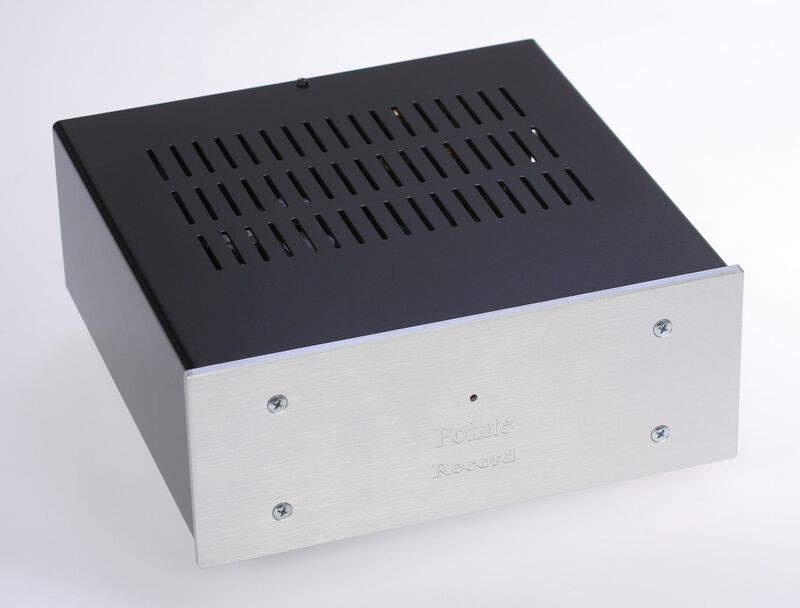 The Pointe Record is no direct heir to previous Pointe phono designs. It features a completely different circuitry, based on two pairs of Yugoslav-made ECC900 NOS tubes. 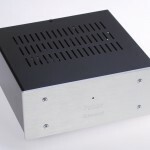 The front panel is a thick, brushed and 3D engraved aluminium plate, matching the looks of the Pointe Platinum and the earlier Pointe Sima 20 integrated amplifiers. A few units were made offering an onboard 56 dB gain MC preamp option for an extra fee, with internal microswitches selecting MM or MC mode, and 8 different impedances (between 66 and 500 Ohms) in MC mode. 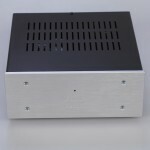 Input impedance: 47 kOhm; Gain: 46 dB; Tube Set: ECC900 x 4; Dimensions: 270 x 130 x 320 mm, Weight: 2.5 kg.